Emily honestly did not dislike Valentine’s Day. She actually enjoyed it; she being a bit of a hopeless romantic at heart. The hari usually put those around her in good spirits, spreading cinta and joy and friendship. And the cokelat was also a plus. Emily brushed a strand of dark hair aside with the back of her hand. She rested her arms on her legs, leaning meneruskan, ke depan in the hard, plastic chair. She stared intently at the prone man before her. His face displayed a false sense of calm, the tightly gripped tempat tidur sheet in his left hand revealing his inner turmoil. “Abby, I don’t get it,” Darryl stated quietly as he sat up in tempat tidur and watched his fiancé fret. “What’s not to get Darryl? I want to know who my birth parents are,” she replied, annoyed oleh his reaction. Written oleh dancerindisguise on fanfiction.net. a poll telah ditambahkan: Do anda like Emily as the FBI BAU Unit Chief of BAU? 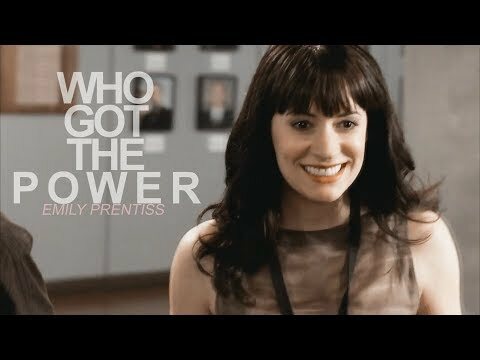 a video telah ditambahkan: Emily Prentiss | who got the power?